The differences between the erratic 105 Golfer and the more consistent 95 Golfer! The 95-golfer takes 4-less shots to reach the green than the 105-golfer. This is an important number because we often think we need to hit the ball much better to improve 10-strokes. Though in reality you only need to hit the ball 4-strokes better to be on your way to seeing a 10-shot improvement. The final piece to your puzzle of consistent scores is putting. The 95 Golfer has 6 less putts per round. This is easily accomplished with just a little “know-how!” How do you become a better putter? First you learn how to use 3 of The Four Factors to allow you to control the distance you putt the golf ball better than you currently do. Then with more consistent distance control, you’ll now be able to really start using your PLAN on the green. This PLAN involves becoming a MASTER Green Reader. Yet, trying to read a green without being excellent at controlling the distance you putt the golf ball is almost a case of – it doesn’t matter. This is because the speed your ball is rolling influences how much the ball will curve on the slope. So if you can’t control your speed – you can’t read greens correctly. To truly know how to read greens will allow you to become a confident putter and confident putters make more putts. 7 out of every 8 Golfers aren’t as good at reading the greens as they think they are. Along with “opening your eyes” to easily read greens with improved accuracy – your PLAN thus eliminates those 3 putts from 25 feet and increases your 1 putts. The 2 categories above illustrate the critical factors you can use to develop your PLAN and improve your score 10 strokes. This shows you don’t need to change your entire golf swing to improve your golf scores and feel more confident on the golf course. Below, we’ll show you how you’ll improve in each of these categories. We have a PLAN for you to improve! Has anyone ever developed a Golf PLAN for you before? The distance you hit the ball is a key factor in playing better golf. Besides the sheer joy of “whacking the ball down the fairway” and being the longest hitter in your group – the farther you can hit the golf ball, the easier your next shot to the green is. This translates into you being closer to the hole and achieving lower scores. Using and understanding The Four Factors will allow you to hit the ball farther on a more consistent basis. Many 105 Golfers can hit the ball far – “once in a while” – The Four Factors help you discover why you hit a bad shot and how to correct it so that you hit better shots on a more consistent basis. These Four Factors will be “key” to your improvement and enjoyment of hitting the golf ball longer! And if you want to improve your scores, you’ll make it easier when you begin to hit the golf ball farther than you currently do. The distance you hit your shots from the fairway are as important as the distance you hit your Driver. Although hitting your Driver 30 more yards will allow you to use an easier club for your next shot – increasing the distance you hit your irons and fairway woods is an incredible relief. For example: Being able to hit a 6-iron to the green instead of a 5-iron will allow you to get on the green more often and closer to the hole on a more consistent basis. Thus improving your scores and increasing your confidence. Although we’d like you to hit the fairway on every tee shot – it isn’t necessary for you to do that, to improve and start scoring in the low to mid 90’s on a regular basis. The average 95 Golfer hits only 1 more fairway than you do. This is easily accomplished as you improve your swing along with developing your PLAN when we go on the course each day for 9-holes of Instruction. Just by using your PLAN alone, will allow you to hit at least 4 more fairways per round! If we look at the statistics on the PGA Tour, we can see that the names that lead the Tour in “Greens in Regulation” are very familiar to us. Why? Because these are the Players that are always near the top of the leaderboard and on television. Notice the category isn’t called “Closest to the Hole” – it’s “Greens in Regulation”. This is critical if we are to eliminate those Double Bogey and Triple Bogey holes that are “killing” your scores! Your PLAN should include hitting more Greens, thus improving your score and allowing you to walk to the green with just your putter, as opposed to a variety of short game clubs. Lost balls or penalty strokes can be the most frustrating aspect of golf! Though the good news is that the 95 Golfer doesn’t have to play perfect golf to be consistent, they still might lose 3 golf balls. But, by developing a PLAN and understanding that everybody loses golf balls, the consistent 95 Golfer will take this into consideration and make up for the lost balls in other ways. So it’s realistic to lose a few golf balls and still consistently score in the mid-90’s. Thus the 95 Golfer doesn’t have try to go around the golf course thinking they need to hit every shot perfect. Or the 95 Golfer doesn’t need to complain after just one lost golf ball that – “That’s it. My round is ruined now!” The 95 Golfer understands that lost golf balls happen, but they can negate their lost balls by playing smart and not “Pressing” themselves to make up for mistakes on their remaining holes. If you have 7 par attempts and convert as little as 4 of them into Pars – you can double bogey the remaining 11 holes and still shoot 97 (breaking 100) for your round. Not that we want those 11 holes to be double bogeys! But because you’ll put less pressure on yourself to play perfectly, your confidence on the golf course will be awesome! Below is the difference in Birdies, Pars, Bogeys and Others between the erratic 105 Golfer and the more consistent 95 Golfer. It shows how your PLAN will translate into lower, more consistent scores! The above graph equals a 10 shot difference over 18 holes. What surprises many 105 Golfers is that the more consistent 95 Golfer has no Birdies and only 1 more Par than the more erratic 105 Golfer. The key though is the number of double, triple and quadruple bogeys are reduced because you’ll have a PLAN to develop more consistency in your game, eliminating the “blow-up holes” that drive-up your scores. Why is this critical for the 105 Golfer to see and understand? Because the 105 Golfer thinks they need to make 10 more Pars every round to improve 10 strokes and that kind of pressure is making you make some horrible decisions and bad golf swings on the golf course. So understanding that you only have to make 1 more Par in your quest to break 100, will allow you to play smarter than you currently are. And playing smarter, along with learning to hit the golf ball better, will help to eliminate those 8 Double Bogeys, 3 Triple Bogeys and 1 Quadruple Bogey that’s adding 30 shots to your score every round. Go ahead, sign-up with Golf Made Simple and be a Player! The 85 Golfer takes 6 less shots to reach the green over 18 holes, than the 95 Golfer. This is an important number because the 95 Golfer often thinks they need to hit the ball much better to improve 10 strokes. Though in reality you only need to hit the ball 6 strokes better to see a 10 shot improvement. That means you only have to hit 1 shot better every 3 holes to have the potential to improve your score 10 strokes – as opposed to having the feeling that you need to hit every shot better. The final piece to your puzzle of consistent scores is putting. The 85 Golfer has 4 less putts per round. This is easily accomplished with just a little “know-how!” How do you become a better putter? First you learn how to use 3 of The Four Factors to allow you to control the distance you putt the golf ball better than you currently do. The distance you hit the ball is a key factor in playing better golf. Besides the sheer joy of “whacking the ball down the fairway” and beingthe longest hitter in your group – the farther you can hit the golf ball, the easier your next shot to the green is. This translates into youbeing closer to the hole and achieving lower scores. Using and understanding The Four Factors will allow you to hit the ball farther on a more consistent basis. 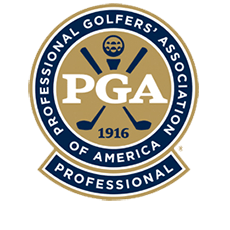 Many 95 Golfers can hit the ball far – “once in a while” – The Four Factors help you discover why you hit a bad shot and how to correct it so that you hit better shots on a more consistent basis. The distance you hit your shots from the fairway are as important as the distance you hit your Driver. Although hitting your Driver 30 more yards will allow you to use an easier club for your next shot – increasing the distance you hit your irons and fairway woods is an incredible relief. For example: Being able to hit an 8-iron to the green instead of a 6-iron will allow you to get on the green more often and closer to the hole on a more consistent basis. Thus improving your scores and increasing your confidence. Although we’d like you to hit the fairway on every tee shot – it isn’t necessary for you to do that, to improve and start scoring in the low to mid 80’s on a regular basis. The average 85 Golfer hits only 2 more fairways than you do. This is easily accomplished as you improve your swing along with developing your PLAN when we go on the course each day for 9-holes of Instruction. Just by using your PLAN alone, will allow you to hit at least 2 more fairways per round! If we look at the statistics on the PGA Tour, we can see that the names that lead the Tour in “Greens in Regulation” are very familiar to us. Why? Because these are the Players that are always near the top of the leader board and on television. Notice the category isn’t called “Closest to the Hole” – it’s “Greens in Regulation”. Lost balls or penalty strokes can be the most frustrating aspect of golf! Though the good news is that the 85 Golfer doesn’t have to play perfect golf to be consistent, they still might lose a golf ball or two. But, by developing a PLAN and understanding that everybody loses golf balls, the consistent 85 Golfer will take this into consideration and make up for the lost balls in other ways. So it’s realistic to lose a couple of golf balls and still consistently score in the mid-80’s. Thus the 95 Golfer doesn’t have try to go around the golf course thinking they need to hit every shot perfect. Or the 95 Golfer doesn’t need to complain after just one lost golf ball that – “That’s it. My round is ruined now!” The 85 Golfer understands that lost golf balls happen, but they can negate their lost balls by playing smart and not “Pressing” themselves to make up for mistakes on their remaining holes. If you have 14 attempts and convert as little as 50% of them into Pars – you can double bogey the remaining 4 holes and still shoot 87 for your round. Not that we want those 4 holes to be double bogeys! But because you’ll put less pressure on yourself to play perfectly, your confidence on the golf course will be awesome! What surprises many 95 Golfers is that the more consistent 85 Golfer only has 1 more Birdie, 3 more Pars as the more erratic 95 Golfer. The key though is the number of double and triple bogeys are reduced because Golf Made Simple will give you a PLAN to develop more consistency in your game and you golf swing. This will help to eliminate the “blow-up holes” that drive-up your scores. Why is this critical for the 95 Golfer to see and understand? Because the 95 Golfer thinks they need to make 10 more Pars every round to improve 10 strokes and that kind of pressure is causing you to make some horrible decisions and bad swings on the golf course. So understanding that you only have to make less than 3 more Pars in your quest to break 90, will allow you to play smarter than you currently are. And playing smarter, along with learning to hit the golf ball better, will help to eliminate those 4 Double Bogeys and 2 Triple Bogeys that are adding 14 shots to your score every round.